I am a little sad that we only have four more days to share Halloween ideas. But I guess all good things must come to an end. Luckily we have Thanksgiving and Christmas to make us feel better, and all of the chocolate candy that will be left over. 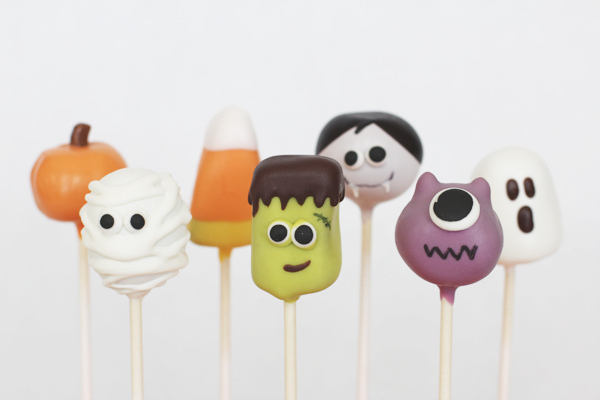 And maybe some Halloween cake pops too. 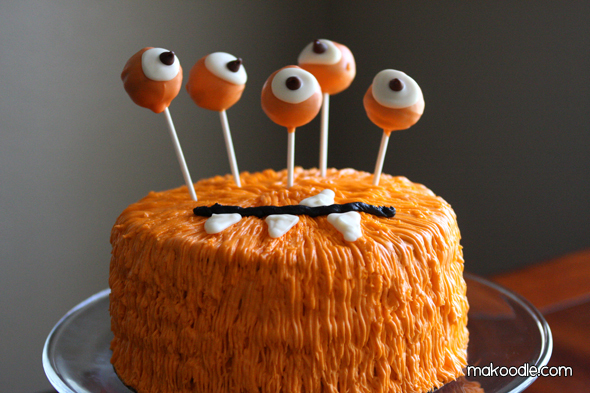 Like these cute cake pop eyeballs in this fun monster cake from Makoodle. 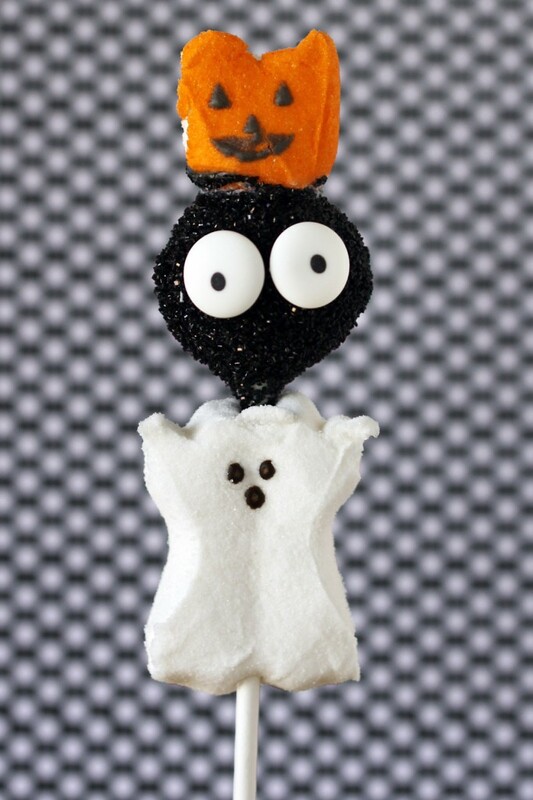 Or one of these seven cute Halloween cake pops from Bee In My Bonnet. Or the combination of Halloween peeps and cake pops in these cake pop peep kabobs from Love From The Oven. I guess we will all get through it together. Thanks Lorie! I'm so glad my seven friends made the post! hahaha! I'm sad Halloween ideas are coming to an end too! I'm just not feelin' Thanksgiving yet.